You are at:Home»News»Inside Dallas ISD»Top Dallas ISD debaters take on tricky topic: Should U.S. abolish Electoral College? Top Dallas ISD debaters take on tricky topic: Should U.S. abolish Electoral College? Through a partnership with entrepreneur Roland G. Parrish and the Dallas Urban Debate Alliance, four Dallas ISD students competed in a public debate on Tuesday at James Madison High School. The topic of the public debate was RESOLVED: The United States should abolish the Electoral College and elect the U.S. President by popular vote. The four students qualified to compete in the Roland Parrish Scholarship Debate by taking top honors at the Dallas Urban Debate Alliance Fall City Championship in December 2018. The winning students of that competition were from The Science and Engineering Magnet and Irma Lerma Rangel Young Women’s Leadership School. At Tuesday’s debate, the affirmative team won the debate and received a $5,000 scholarship each: Sophie Rahman and Juan Diaz from the School of Science and Engineering. Tournament judges include Peter Bogdanow, Partner, Katten Muchin Rosenman LLP and Dallas Urban Debate Alliance Board Member; Matt Houston, President of the Black Chamber of Commerce; and, Dwayne Lewis I. Lewis, II, Attorney Buford & Ryburn, L.L.P. and Co-Chair of the Serving Children Committee of the Dallas Young Lawyers Association. For more than 10 years, Dallas ISD has partnered with the Dallas Urban Debate Alliance to bring competitive policy debate to middle and high school students. Participation in debate provides an academically rigorous opportunity for students to develop critical thinking skills, gain confidence in public speaking, and to learn to thoroughly conduct research. 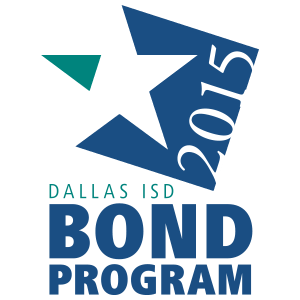 Annual enrollment in the program exceeds 1,000 students across 50 Dallas ISD middle and high school campuses.